See who's on your website, chat to them, and convert them in real-time. Real-time view of online visitors. Reach out to promising visitors. See who's on your website right now. 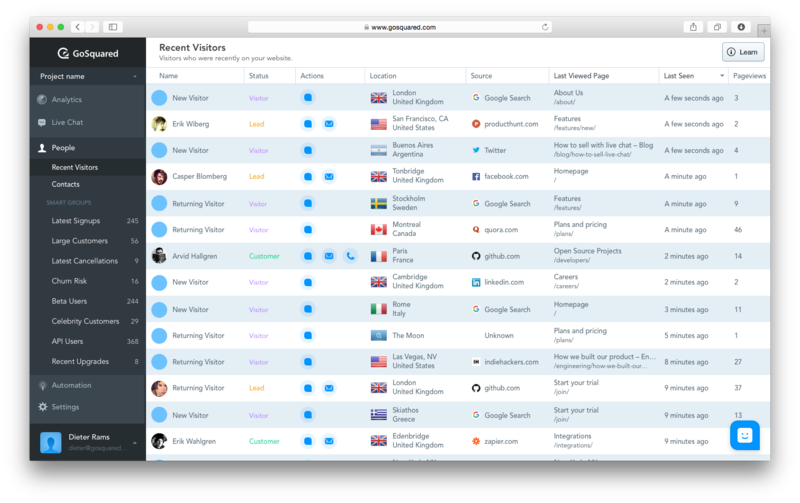 View a real-time list of the visitors currently on your website – it's like looking at your shop floor. Proactively chat with any visitor – instantly. On average, 96% of website visitors leave without converting – we can change that. Engaging with the visitors on your site is now as easy as a click. No emails, no calls, just a simple, instant, human conversation. Close deals in minutes, not days. 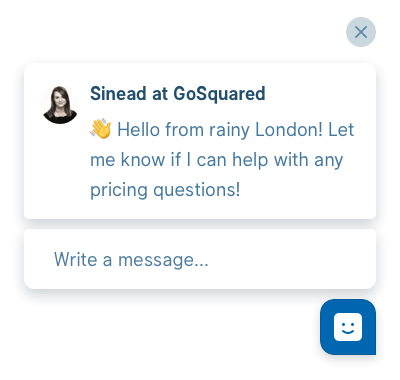 GoSquared enables you to have conversations with customers at scale. Close more deals in less time, and speed up your sales cycle by proactively engaging with live chat on your website. 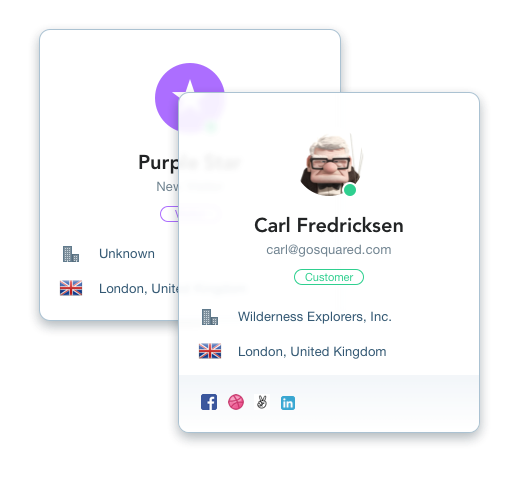 Visitors is part of the GoSquared platform – intelligent live chat, Customer Data Hub, and analytics software to grow your business.